Fowler Westrup is a global leader in providing solutions for Opto electronic color sorting solution to the food and grain processing industry and has been at the best of sorting technology since one decade. With the valuable assistance of skilled team of professionals, we are engaged in offering an extensive range of high-quality Fruit Sorting Machine. We are ranked amongst the renowned organizations that are engaged in manufacturing and supplying the best quality range of Fruit Sorting Machine. 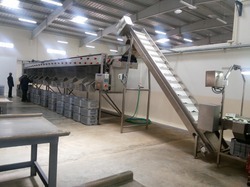 - In various industries for sorting purposes of products. Specifications and uses:• Usage: for grading apple, Orange, Kinnow, Potato, Onion, Garlic• Widely demanded in agriculture area, farm houses, etc. Being one of the trusted firms in the industry, we are highly engaged in providing a unique range of Fruit Grading Machine. 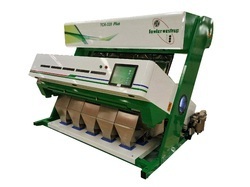 The equipment is suitable for sorting ball-shaped or long round fruits and vegetables. The fruits rotate on the rolling rod to ensure the fruit sorting quality. - Materials of rolling rod: stainless steel tube, engineering plastic tube. We are successfully meeting the varied requirements of our clients by providing the best quality range of Apple Grader.